Directly after tea comes one of the most exciting "events" of the afternoon, as half a dozen of the tamest of nursery and schoolroom pets are produced by Fraulein or nurse, who will have hunted them up early in the afternoon, and had them in safe keeping, and seen to it that food and water have not been forgotten. 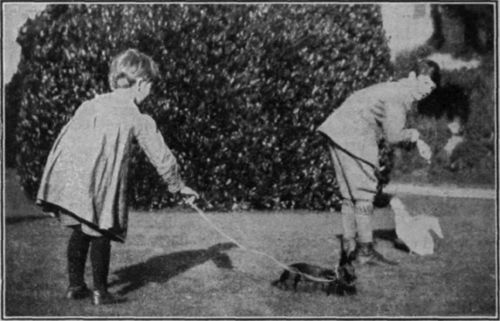 A white Persian kitten, a tame baby fox, a black rabbit, a tame white duck - a special nursery favourite - a guinea-pig, and a small fox-terrier puppy are amongst the competitors, each one harnessed with a set of carefully made reins of gardener's bass (which does not cut as string would and ribbon might) so arranged that there is no possible fear of slip-knots. The competitors, with their drivers, are started in a row, and directed to drive straight down the lawn to the flag which marks the winning-post. This is easier said than done, however, for the duck, spying the goldfish fountain, makes for that, the rabbit starts to nibble grass, and the other competitors show signs of travelling in every direction but the right one. Competitors must drive their pets from behind, not lead or drag them, and no whips are allowed; but, after some little time, the pet baby fox is finally urged to the winning-post amidst much applause. A deal of curiosity will have prevailed amongst the children during the afternoon as to what pig-sticking on pickaback might be, and the excitement grows to fever-point as the hostess comes out carrying a bunch of gaily coloured airballs floating by long strings in one hand, and a bundle of long, sharply pointed sticks in the other. All the grown-ups present are now pressed into service to act as mounts to the "pigstickers" - chosen from among the smaller children present - whilst the bigger children are each given an airball and told that they must drag them behind them to represent the fierce wild boars for whom the huntsmen are in search. The "pigs" stand in a row a few yards in advance of the line of mounted "pigstickers," mounted pickaback, each one bearing a pointed lance in his hand, with which it is to be his endeavour to puncture a balloon. At the signal "Go!" off run the "pigs," with the riders in hot pursuit, the fun lying in each "pig" giving the "pig-sticker" plenty of chances, and drawing his or her balloon along the ground in a tantalising way close to the "pig-stickers," but turning and dodging and keeping it, with well-timed jerks of the string, just out of reach. "po nie s" are tired, when prizes are awarded, lemonade and cakes handed round, and the guests take a reluctant leave. A pleasant variation of this competition for older boys and girls who are possessed of or can ride bicycles is a pig -sticking contest in which the players are mounted on machines instead of human steeds. The same rules may very well apply as in the junior competition. Of course, if it be thought necessary, complications can be introduced to enhance either the fun or the difficulties of the game, but one precaution should be observed. To avoid the slightest risk of accident in the excitement of the contest from the sharp points of the lances, no "pig" must be allowed to raise the balloon from the ground. A clumsy downward thrust may break a lance or miss its quarry, but it is at least harmless; an upward one ill-directed may involve the most serious injury to the eye of some poor child. So see to it that disaster does not happen to cloud an otherwise sunny day. "All's well that ends well" is an excellent motto to bear in mind when bent on organising any form of contest for juvenile competitors, yet it is sometimes more honoured in the breach than in the observance. Few people know what fascinating little toys and articles can be made from these shells, which, therefore, are always thrown away. The easiest and most economical way of procuring a shell entire is to ask the cook, when she is going to use any for a cake or pudding, to pierce a hole about the size of a pin-prick in one end, and another one at the opposite end. She should place this last to her lips, and blow. The egg will be much easier to blow if the yolk is pierced with a pin; if this is not done, it will be necessary to make a much larger hole. Wash the egg both inside and outside, and, when dry, it is ready for use. None of the models shown are difficult to make. As the Humpty-dumpty is, perhaps, one of the easiest, I will first describe how that one is made. He can be made to spring back to his original position, no matter what attitude he is placed in, or he can be made to stay as he is placed. 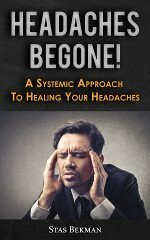 If you wish him to remain always upright, make a hole in the top of the end chosen to represent his head, large enough to put in about eighteen to twenty-four small lead shot; drop some seccotine on the top of them, at the same time test the egg to see that it stands upright, and then leave till the gum has dried. When this is dry, draw a face on the shell, and gum on two pieces of tape, one on either side, just below the collar, to represent arms. Legs must not be added, or Humpty-dumpty will not roll well. 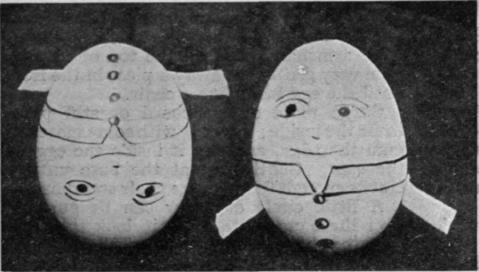 If sand is used instead of shot for filling the shell, the egg will stand in whatever position it is placed, as shown in the illustration of the Humpty-dumpty brothers.